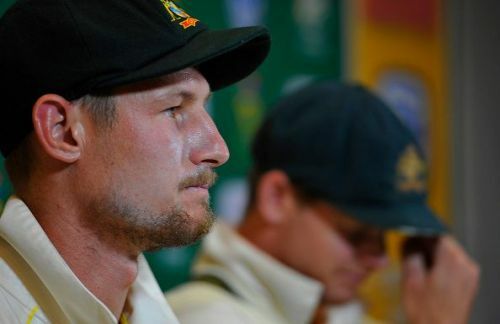 London, Mar 29 (AFP) Somerset said Thursday that disgraced Australian batsman Cameron Bancroft would not be joining the English county side for the new season as the fallout from the cheating scandal gathers pace. Bancroft was banned for nine months by Australia after being caught on camera using sandpaper to scratch the ball during the third Test against South Africa in Cape Town. The 25-year-old opening batsman, who has played just eight Tests, has said he will regret the incident "for the rest of my life". Somerset director of cricket Andy Hurry said Bancroft would not be the club's overseas player for the 2018 season. "We are currently undertaking the process to recruit a replacement overseas player that best fits our needs and will share an update in due course," he said. Hurry said he had spoken a number of times with Bancroft since the weekend and the player had "shared his deep regret and apologised to everyone associated to the club". "It's important we remember there is a young man at the centre of all this, he made a poor choice as I'm sure many of us have done during our lives," said Hurry.